Adobe has announced a range of new tablet-focused tools to allow developers to create phone and tablet apps that integrate with Photoshop. 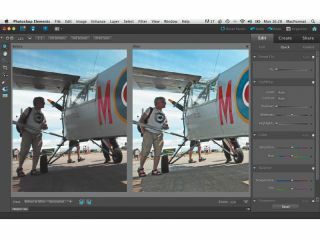 Adobe hopes that developers will use the new SDK to make Photoshop seem more fun, as well as extending its tablet presence and allowing creatives more freedom in how they use the software. There are currently three Photoshop companion apps for the iPad to demonstrate some of the ways that the tablets' touch input could be used in apps. Adobe Color Lava allows designers to mix custom colours on the tablet's screen using their fingers (much less messy than traditional finger painting); these colours can then be transferred to the desktop Photoshop for use in design work. Adobe Eazel unleashes the inner Picasso by allowing you to paint using your fingertips as the brush, while Adobe Nav is all about controlling Photoshop from your iPad by customising toolbars, browsing files and all that administrative jazz. As well as the SDK, Adobe has announced Creative Suite 5.5 with a new flexible subscription-based pricing plan and updates to app building Adobe software to make creating and testing apps for Android, iOS and the BlackBerry PlayBook easier for developers.